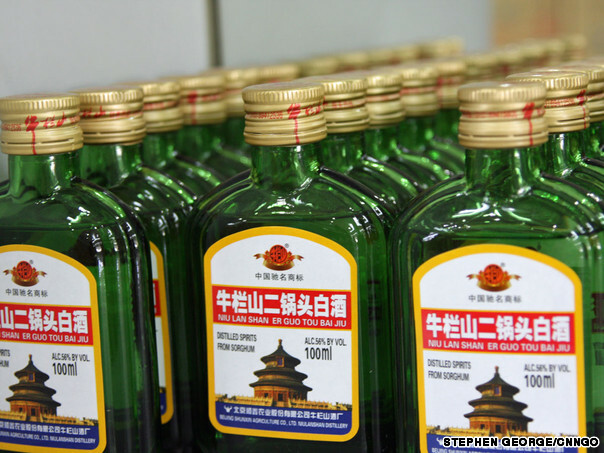 Many Westerners in China wince at the mention of Baijiu, the most consumed type of alcohol in the country. However, new arrivals to China shouldn't be so quick to judge. Baijiu is both a useful business tool, and an important part of Chinese culture and history. So if you're interested in doing business in China, check out these important Baijiu basics! Chinese Baijiu (bái jiǔ, 白酒), pronounced BUY JEE-OH, is the national drink of China, though it remains rather misunderstood by Westerners. 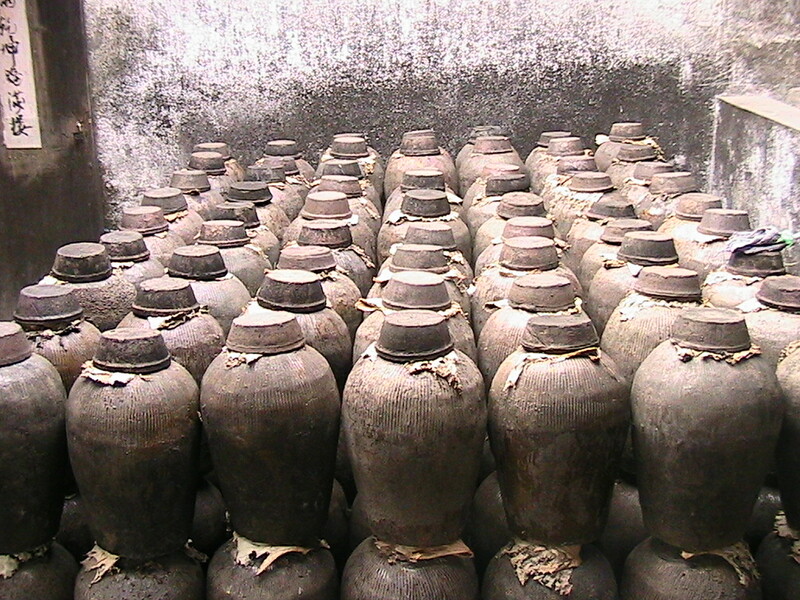 Sometimes called “rice wine” in English, Baijiu has developed a bad reputation among Western expatriates and business people due to its high potency and strong unfamiliar taste. However, despite its perceived unpleasantness, drinking Chinese Baijiu, and alcohol in general, is an extremely important part of doing business in China. Therefore, in this short article I will explain a few Baijiu basics and attempt to help Westerners understand this elusive liquor, as well as make a case for why Westerners should take up drinking, or at least be open to sampling, Chinese Baijiu. Before the birth of the Baijiu we know today, alcohol had already been present in China for thousands of years. Alcohol is said to have appeared in China as early as 5,800 – 7,000 B.C., and later took on a revered role in Chinese society. Considered to be a luxury in ancient China, it was used by the political and religious elite to commune with the spirit world, as a part of various rites, during important state banquets, and as a prestigious gift. Baijiu (or something close to it) first appeared sometime during the Song dynasty (960–1270) or Yuan dynasty (1271–1368), when foreign distillation techniques were first introduced into China. This new and much cheaper form of alcohol (compared to that favored by the Chinese elite) quickly spread throughout China, and was manufactured primarily with sorghum (meaning that “Rice Wine” is not a particularly accurate description), though rice and certain types of wheat were used as well. In China today Baijiu is drunk almost exclusively at meals, as alcohol is a very important part of Chinese dining culture. 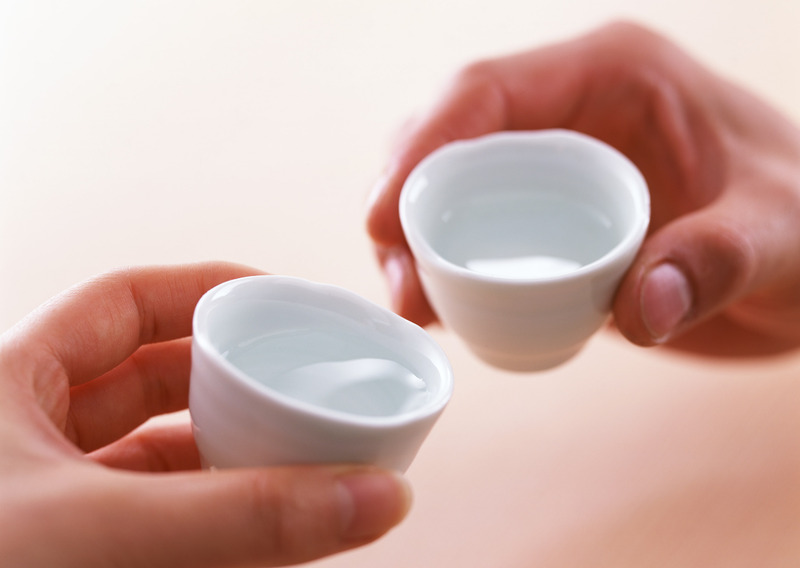 Baijiu is served in shot sized glasses and used during toasts to show respect and build relationships. When toasting, the Baijiu glass of is gripped with both hands, with either one hand on either side, or with one hand/finger on the bottom of the glass. After a toast the Baijiu is usually consumed in one gulp, though exceptions are sometimes made, usually out of respect, for those not accustomed to Baijiu’s potency. Following a toast, the glass can be turned upside down or tilted forward to display that one has consumed the entire glass, and thus give face to your friend, partner or host (for more rules on toasting click HERE). Unfortunately, the very nature of drinking Bajiu is partly to blame for why many first-time Western drinkers quickly grow to hate it. As it is common for multiple shots to be drunk in quick succession, Westerners usually have no time to adapt to the flavor. (While Westerners may sip Whiskey and other liquors, the Chinese as a rule do not sip Baijiu.) In addition, while Face is and will always be important in China, its interaction with toasting and Baijiu can make for a very unpleasant experience for the uninitiated. In many places in China, especially northern China, the drunker a person becomes via being toasted with Baijiu (or other liquors and alcohols) the more Face has been conferred upon them. Therefore, it can be common for visitors to China to be entertained by well-meaning Chinese hosts who are intent on showing them as must respect as possible, by getting them as drunk as possible, on an completely unfamiliar and relatively strong liquor. Needless to say, this does not provide an ideal foundation for Westerners to learn to like and appreciate Baijiu. There’s Actually More than One Type of Baijiu! Strong Aroma (nóng xiāng, 浓香): this is the most popular variety of Chinese Baijiu. It is fermented in earthen pits, and made with either a single or multiple types of grain. It has a strong fiery flavor with a hint of sweetness. This type of Baijiu has strong ties with the Sichuan province, and some areas in eastern China. 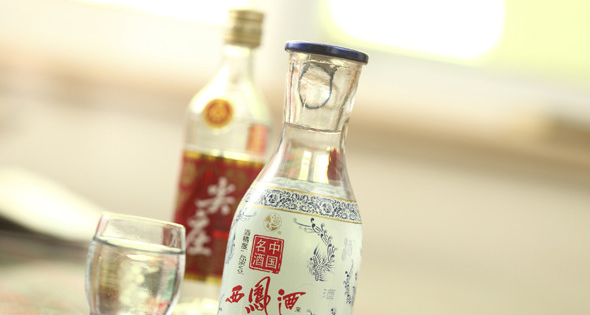 Light Aroma (qīng xiāng, 清香): this type of Baijiu is distilled using sorghum and rice husks and fermented in ceramic jars. Barley and peas used in process to five it a mild sweetness. It is most common in northern China. Sauce Aroma (jiàng xiāng, 酱香): this type of Baijiu requires a good deal of resources and labor, and it is fermented in underground pits. Its taste is said to resemble that of soy sauce, and it is closely associated with the southeastern Sichuan and northwestern Guizhou provinces. Rice Aroma (mǐ xiāng, 米香): this type of Baijiu is distilled from long grain or glutinous rice, and is sometimes fermented in combination with Chinese medicinal herbs. This type of Baijiu is often infused with fruits, tea leaves, and herbs. Ii is common throughout all of southern China, particularly in the Guanxi and Guangdong provinces. There are a number of other lesser known aromas of Baijiu as well. For more in-depth information on all the different types, I highly recommend taking a look at “Baijiu: The Essesntial Guide to Chinese Spirits,” by Derek Sandhaus. When I first came to China, like many others I quickly acquired a negative impression of Baijiu, which in my case was brought on by drinking multiple shots of cheap (and possibly counterfeit) local variety. This initial impression worsened when, while studying abroad in Chengdu, I later had the disturbing experience of sampling a type of Chinese alcohol called Snake Wine (shé jiǔ, 蛇酒), which was basically a big jar of Baijiu with a dead snake fermenting inside. However despite this rocky beginning I was able to slowly become accustomed to drinking Chinese Baijiu, and experience it in a number of different settings. I’ve drunk Baijiu with local government officials in the Zhejiang province, with friends in Tianjin, with local businessmen in Beijing, and with coworkers in Shanghai and Shenzhen. And while I cannot yet say I drink Baijiu just like one of the locals (i.e. profusely), I have found there to be a great value to drinking Baijiu that is completely separate to one’s subjective impressions of its taste. As mentioned previously, drinking in China, including Baijiu, is a very important part of Chinese dining culture, a time when important relationships are built and maintained. And while in my experience the Chinese will usually never coerce or expect a Westerner to drink Baijiu, the Chinese are universally pleased and surprised when a Westerner is willing to proactively bridge the (dining) culture gap and drink Baijiu with them. Therefore, for any Westerner who is currently doing business in China, or plans to in the future, I would strongly recommend exploring Chinese Baijiu in advance. It can be somewhat shocking to the uninitiated, but given a little time one’s palate can adjust to it, making attending Chinese banquets and developing Chinese friendships a much more enjoyable experience. Do you have any more questions about Chinese Baijiu or alcohol in China? Do you have any Baijiu experiences that you would like to share? Please feel free to post your thoughts in the comments section below. support to share on Wechat? I’ve shared my articles on Wechat before, although WordPress does not provide a specific sharing button at the bottom of articles. What you can do is open my blog through your phone’s browser, and then share it on Wechat from there – that’s how I do it. Hi Sean love the blog, where abouts are you based ? Thanks Sandra, I’m based out of Shenzhen. Sean, you must be having a lend: Baijiu is the sweat of Satan, only masquerading as something drinkable! That page also provides links to “A salute to baijiu”, which is an in-depth expose that must be read. I would agree that super-cheap Baijiu and ErGuoTou (the small bottles you can find anywhere that fit in the palm of your hand) are the sweat of Satan, but there are plenty of other Baijius that are ok. Yes, they are still plenty strong, but I never feel any kind of horrible sensation when drinking most Baijius, not anymore at least. Basically, if you want a Baijiu that you have a chance of standing, you need to fork over a little money. After all, how enjoyable (taste-wise) is a five dollar bottle of wine or cheap moonshine? You get what you pay for. Hmm. Obviously I’ve been getting what I paid for. As you’ve suggested, I might have to move up the baijiu chain a little. An easy way to check out different prices and types of Baijiu is to go on a Chinese online shopping site (I use Amazon.cn) and search through all the different types of Baijiu. Even though you may not be able to get the really high quality stuff, it should give you a pretty good idea of whats available. The selection at supermarkets is never very good where I’m at. Another option is to go to one of those stores that just sells Baijiu and Chinese liquors but you’d have to know the brand you wanted beforehand. What a great tip, thanks Sean. When’s the Baijiu tasting night in Shenzhen? Hmm… interesting idea. I’ve thought about it before and to be honest I’m not yet sure about the best way to have a “Baijiu Tasting” event. I’ll keep it in mind and maybe it will be possible in the future. Yesterday, I had my first experience with Baijiu at a business lunch in Guilin. My hosts were indeed pleased that I was willing and able to sample and keep up with the number of toasts that were offered up. Thanks for the great article that explains the position I was in yesterday. I left with many new friends and my host also explained later that I gave them much face for having fully participated. Congratulations on your first Baijiu experience! I am glad to hear it turned out well, and that you were able to make some new friends/contacts. Personally, I always enjoyed Baijiu at the end of a banquet. Mixing it with Red Bull was a treat before night shopping in the many huge malls on China’s mainland. Also, the lower proofs enable even the non-alcohol drinker to try Baijiu at least once. I miss not having easy access to it in America. Thanks for commenting, I’ve never thought of mixing Baijiu with Red Bull before, but it is certainly an idea worth trying out, especially as I’ve read previous articles about others’ efforts to create mixed drinks with Baijiu. Do you use any particular variety of Baijiu or will any do?